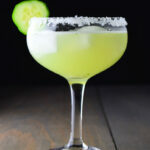 Every had a margarita made with fresh basil and muddled cucumber? It probably doesn’t sound like anything that should ever be mixed, but it’s a surprisingly delicious twist on your every day marg. I thought of the cucumber basil margarita on my way home from work. 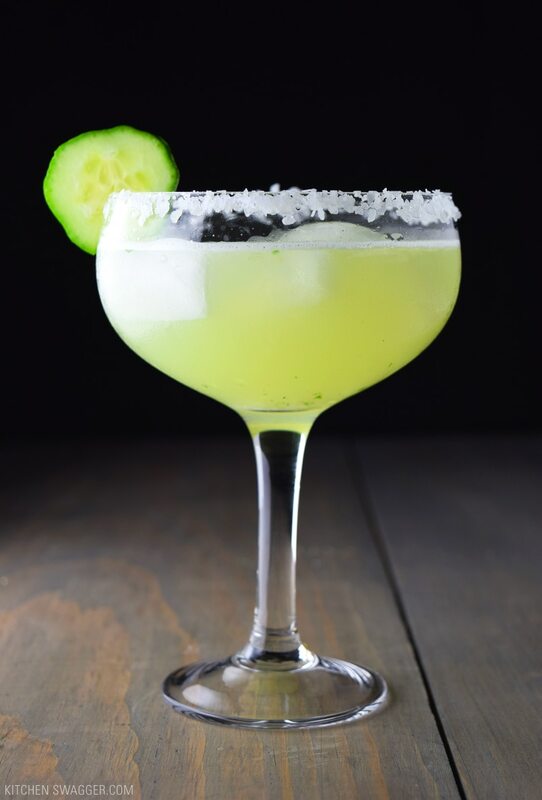 A simple margarita with fresh muddled basil and cucumber. Basil and cucumber in any cocktail is very crisp, earthy and refreshing. I don’t know exactly what it is but it’s the perfect summer pairing. I’ve tried it once before in my cucumber, gin, and elderflower martini. 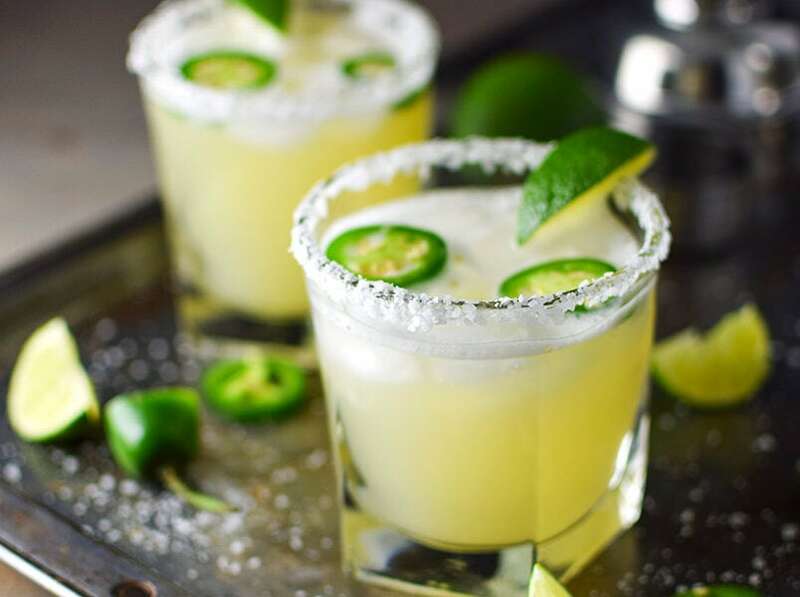 I think my love of tequila is taking over my blog (this is my 4th margarita recipe), but this is too unique and refreshing not to share. I make all my margaritas with simple syrup and fresh lime juice. It makes for a cleaner and less artificial tasting margarita. I think that’s how you can get away with adding the fresh cucumbers and basil without losing the subtle flavor in sugary margarita mix. A good margarita must be shaken well with ice. 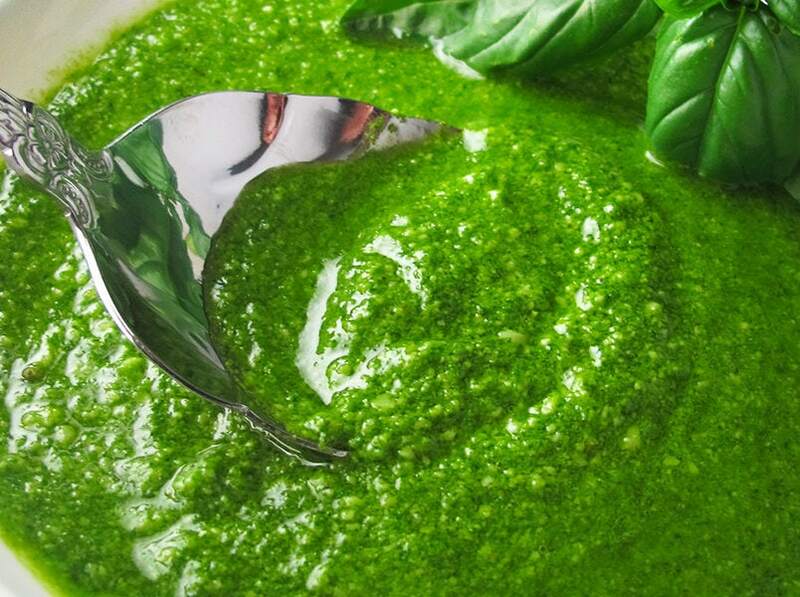 It will taste smoother, chill it down, and blend the flavors much better than stirring. 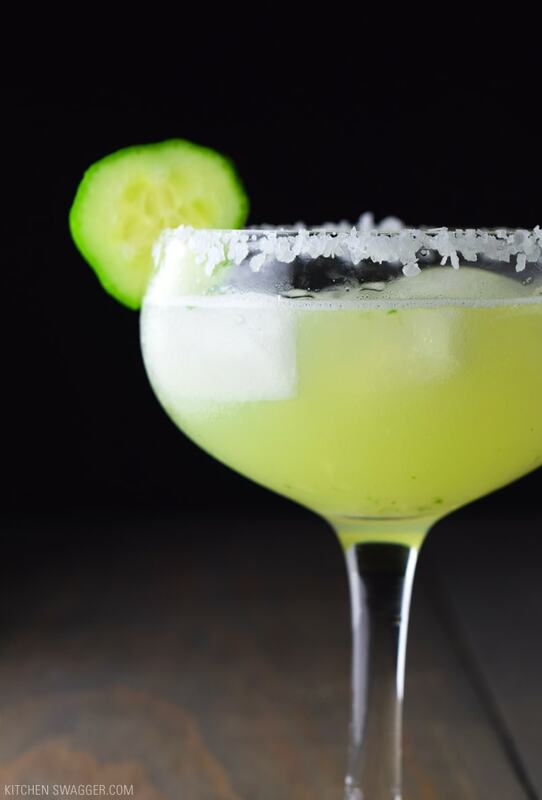 For this margarita, you must strain out the pulp from the cucumber and basil and pour over fresh cubed or crushed ice for the perfect result. coat the rim of a margarita glass with salt. 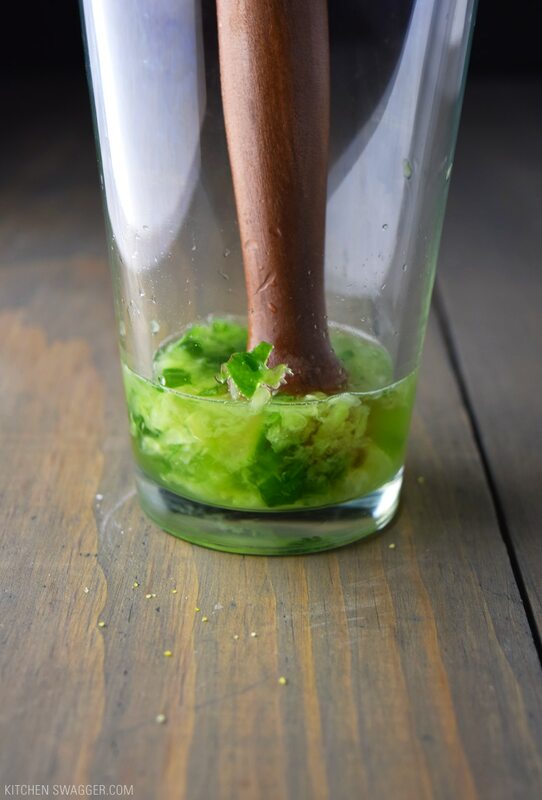 Combine basil, cucumber, and simple syrup in a Boston shaker. Muddle well until pulverized. 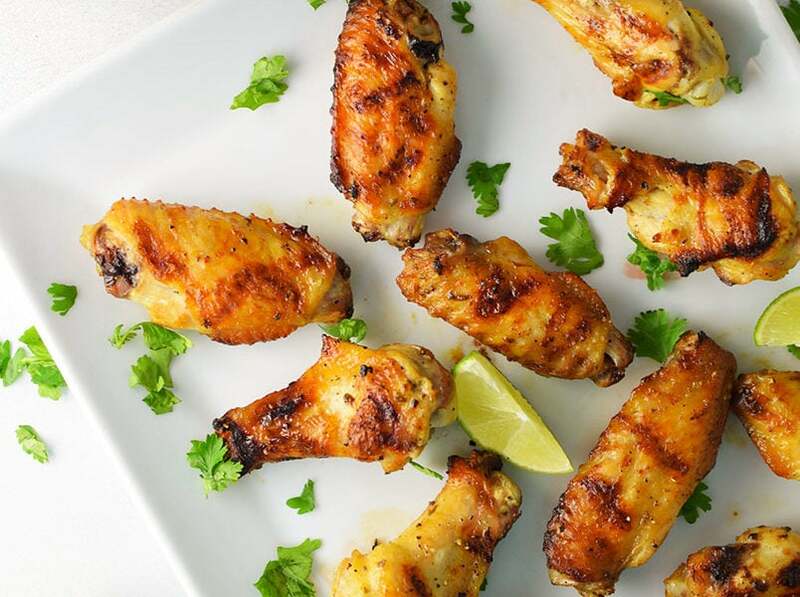 Add all remaining ingredients with a handful of ice and shake vigorously for 10 seconds. Strain (using a fine strainer) into a chilled margarita glass over fresh crushed ice (this is to keep out the pulp from the cucumber and basil).